Do you know why the HAL 9000 computer in "2001: A Space Odyssey" sings "Daisy Bell?" Listen to this week's show to find out. In addition to a segment about daisies, we'll also get fragged around, we'll get cuckoo and celebrate the birthdays of Otto Motzan and Bud Freeman. 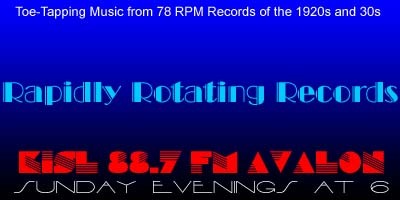 There are a number of records making their RRR debut this week. Cuckoo In The Clock – Glenn Miller AHO / Marian Hutton, v.